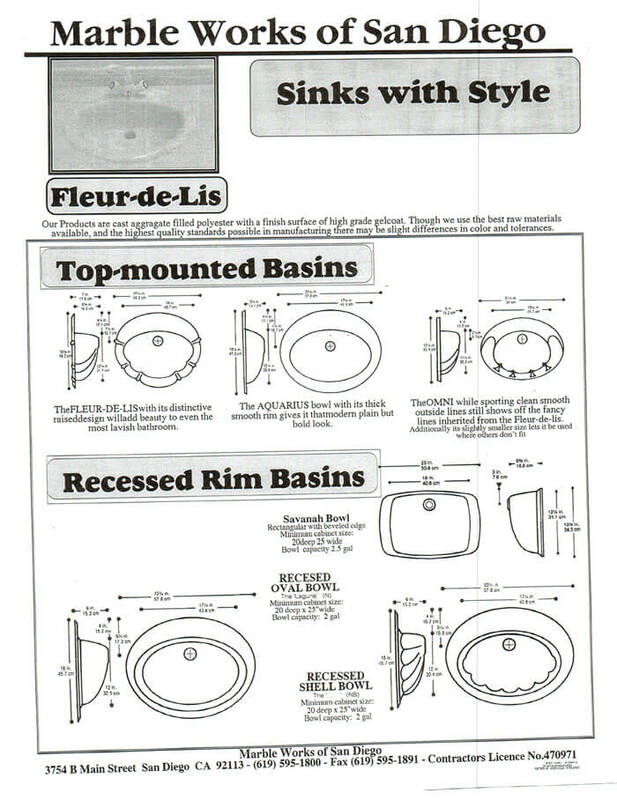 The Fleur-de-lis with its distinctive raised design will add beauty to even the most lavish bathroom. The Aquarius bowl with its thick smooth rim gives it that modern, plain yet bold look. The Omni, while sporting clean smooth lines on its outside, stil shows off the fancy lines inherited from the Fleur-de-lis. Additionally, its slightly smaller size lets it be used where other sinks might not fit. I'd like to thank you for the fine workmanship you did on my bathroom. I was very pleased with the final product and found your staff and workers to be professional and courteous. If any other work needs to be done in the future i wouldn't hesitate to call for your services.